Our standard splitter buses give you maximum comfort for your budget with room for 6 in the back and 3 in the front – including driver. The band area has comfy seats that FULLY RECLINE (we are talking almost flat here!) giving you lots of leg room to stretch out. Each band bus comes with flat screen TV, DVD, Radio and iPod connection, 4-way speakers, 12v power (some have 240v as well – and those that do have a folding laptop table), iPod connection and auxiliary heating to keep you warm while you relax. Band area with 6 FULLY RECLINING seats! Demand for our mini splitters keeps on growing so we’ve added another mini splitter to our rental fleet. 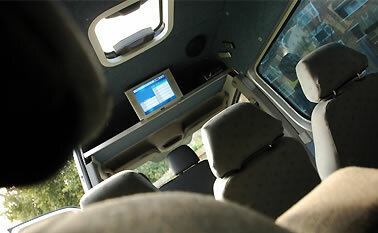 This luxury option as fully automatic, with V6 engine and aircon. 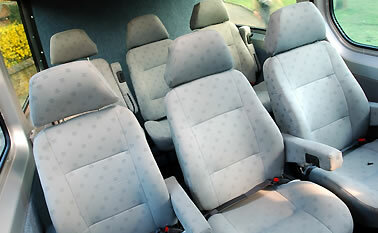 The van seats 6 including driver – 3 up front and 3 in the back with lots of leg room. As with our Automatic version, this luxury mini van seats 6 including driver – 3 up front and 3 in the back – with lots of leg room. Xbox 360 with wireless headphones and a DVD player are installed to pass away the hours. The van exterior has chrome trim and sport alloy wheels for that bit of extra bling! The mini splitter is perfect for smaller bands, DJs or as a crew vehicle. 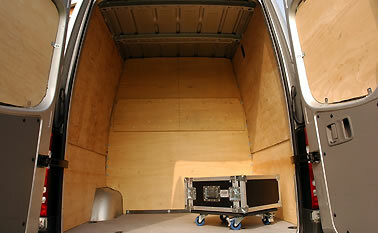 You can comfortably seat 6 and easily fit a drum kit, 3/4 combos, guitars, merch and bags in the back. There’s plenty of leg room in the back as you can stretch your legs under the front seats. There’s also a good heater outlet so all passengers can be kept warm in winter. All our band vans are custom conversions of Mercedes Sprinters – known for both their reliability and economic fuel consumption while you’re on the road. 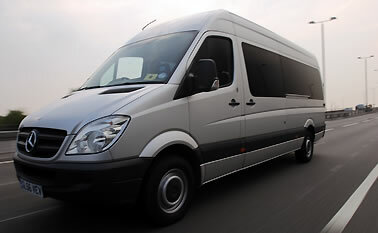 Our fleet is regularly maintained by Mercedes specialists to keep it tip top. However, for peace of mind, all hires come with RAC European breakdown cover. The Matt Snowball splitter bus fleet is housed in London and our vans can be collected for hire from either our North or West London offices. We can also deliver to your door anywhere in the UK. 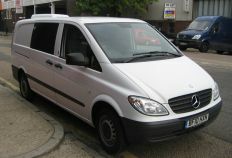 Get in touch to discuss what works for you with your van rental.